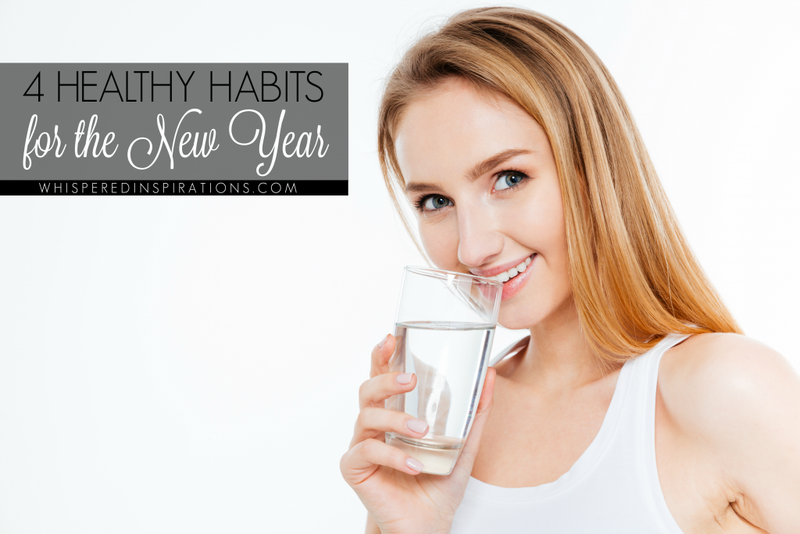 Healthy Habits for the New Year! The start of the New Year is the perfect time to reflect on the past year and look forward. It is a great time to weigh out what works and what simply doesn’t. Apart from being a time of reflection, it can also turn into a very hectic time with routines slowly getting re-established and getting back into the swing of things. It’s often a time when New Year’s resolutions quickly go out the window. This year start the New Year off right with these healthy habits that your whole family can benefit from. Here are four simple changes that could turn into life-long habits. Good luck on your adventure! Healthy homemade lunches: Buying lunch every day can be tempting since making lunch for your family can feel like a huge chore and can get quite expensive. Plus, eating out often leads to unhealthy choices. A smart way to start the year off right is by picking a day out of the week for meal prep. You can prepare simple and delicious meals ahead of time. It can be as easy as cutting up vegetables on the weekend, boiling eggs or pre-packaging snacks to grab n’ go! It will make the process quick and ensure healthy choices are made during the week. Getting your family involved can also make prepping food more fun and helps your children understand the importance of making healthy decisions. Keep your hair healthy: I know the thought of not washing your hair every day can be icky to some but, washing your hair too often can strip out natural oils and cause split ends. Try washing your hair every second or third day to maintain healthy and natural looking locks. Want to know my secret? I use Batiste™ Dry Shampoo Original between washes and it helps to eliminate excess oil and grease. Believe me, it works and it leaves hair looking clean and fresh with added body and texture. No water required! Drink water: After a month of indulging start the year off right by challenging your family to drink more water. Try switching your evening pop, or morning fruit juice, for a large glass of water. I enjoy adding cucumber or lemon to it. Gives it a little zing and it is good for you. Drinking more water for the first few days may be hard but, after a week you will feel rejuvenated and have healthier hair and skin. Unplug and recharge: Getting a good night sleep is always difficult. I know that I have a hard time unplugging, especially when I haven’t put a dent on my to-do list. There are always new emails to be answered and a list of chores to do, right? It is extremely important to understand the need for a good night’s sleep. Sleep can boost productivity, improve your memory and help maintain a healthy weight. Make it a point to turn off the television, computers and smart-phones one hour earlier. If you are having trouble falling asleep, try Vitafusion™ SleepWell. Each SleepWell gummy is made with 2.5 g of Melatonin, a hormone that helps increase total sleep time. I know that starting a new habit can be daunting but, you can make small changes and get big results. Previous Post: « Practice Makes Perfect: 3 Tips To Keep Your Kid Motivated! Unplug and recharge- YES! I need to work on that one! Actually, I have all of them to work on! I'm actually trying to find ways to eat healthier that is my goal this year. Right now I think I might be failing at it but I am well aware of what I need to do and what I need to learn. So hopefully my body will become healthier throughout the year. These are all great tips. We have to start somewhere, that is for sure. You can do it. I'm really good about drinking my water but I need to get some exercise in and eat more healthy! The SleepWell sounds like something I need too. We an all use a better nights sleep! I need to take these tips to heart! With the new year here, it is time to prioritize and get healthy! I have some dry hair shampoo and love it. I think it helps keep my hair shinier, and healthier. Plus, my scalp appreciates it! Me too! Especially during winter. Making your own lunches is a great way to save money and eat healthier. I have been drinking a lot more water this year. I am starting to notice a big difference in my skin already. I have been eating healthier and working out more this year. I need to work on getting more sleep. It is so important to have healthy habits to pass on to your kids. I have started meal planning this year. It has been a great way to keep us on track with healthier eating. They kids have been having fun helping out in the kitchen more. That is always a good thing, you are teaching them good habits too. These are great tips! I couldn't agree more, small changes can really have big results. Awesome tips! These are all great habits to get into. I try to drink lots of water throughout the day. definitely need to put drink more water on my list of healthy habits I need to start doing more of this year- thanks for the great list and the healthy inspiration to kick off 2017! My pleasure, I think there is at least one we all need to work on more.